Plastic palette measures approx. 11" x 16"
Wait! 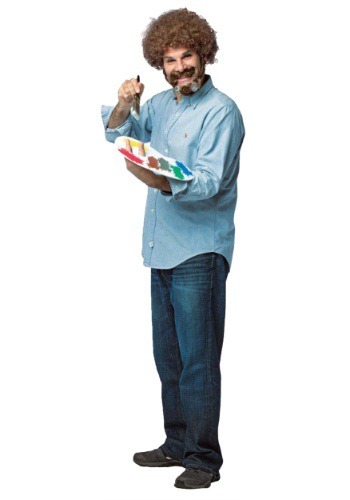 Now you CAN become just like the legendary painter on PBS with this Bob Ross kit! Of course, the kit comes with that unmistakable permed hair in the form of a synthetic wig, along with his signature facial hair, so you can start your painting career with ease! Just make sure to paint a few happy trees for us!